摘要：Pluripotent complementary distributed energy system is the extension of the traditional distributed energy application. It is the actual appearance of integration concept in the field of energy systems engineering industry, which makes the distrib..
Pluripotent complementary distributed energy system is the extension of the traditional distributed energy application. It is the actual appearance of integration concept in the field of energy systems engineering industry, which makes the distributed energy applications extend from the point to the surface. 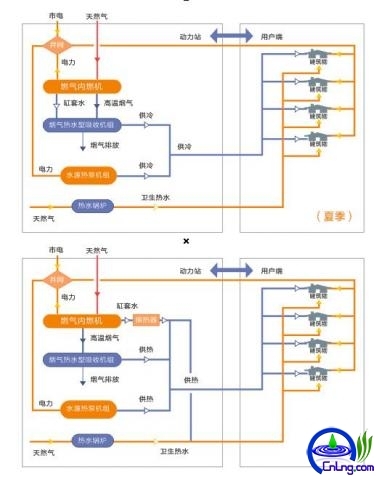 To be explained, Pluripotent complementary distributed energy system means that the entire system includes a variety of energy resources input model, and output with a variety of functions, finally created "Regional Energy Internet" system. It is not a simple sum of various energy sources, it depends on different system function to make a high efficient complementary utilization and co-ordinate the various arrangements with the relationship between energy use and conversion, the final purpose is to obtain the most rational use of energy effects and benefits. The “distributed energy resources” indicates energy integrated utilization system which spread over the user side. The primary energy resource is gas fuel, and the renewable energy as its complementary energy. 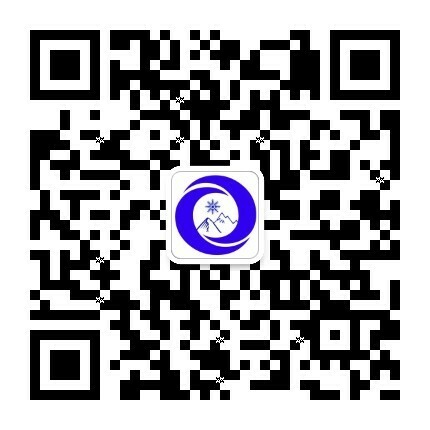 The secondary energy sources mainly depending on user side’s heating, electricity and cooling production, and other energy supply system as its subsidiary energy resource. As the result, this system will satisfy the user’s various energy requirement and achieve the goal of energy gradient utilization. Follows the principle of “electricity determined by the thermal” and “the power connected to the gird but not a part of grid”, the entire system combined cooling, heating and electricity generating units which will offer the air conditioning and hot water. The generated electricity will be used to the system’s circulating water pump, water source heat pump system and other system, for example lights. 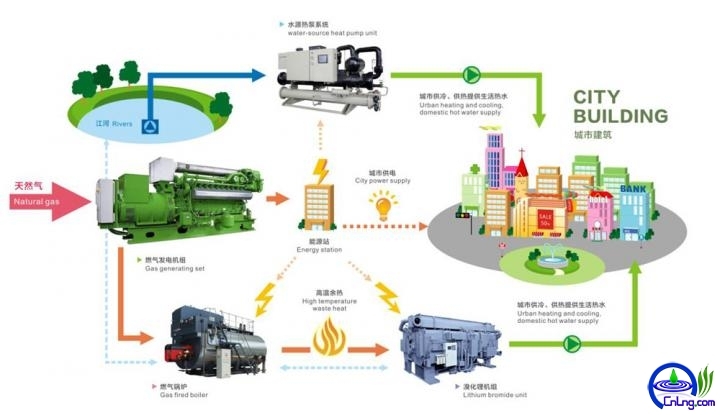 The subsystems of this integrated system have reached the best performance by using the solar and water source heat pump as the complementary heat resources, which extremely improved the energy utilization efficiency. As the result, the goal of energy conservation and emission reduction has been achieved. 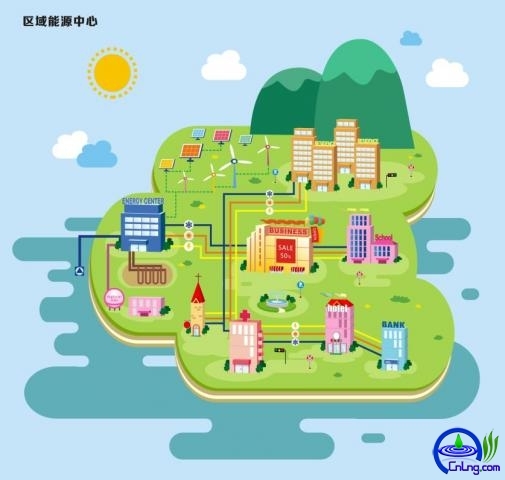 Regional centralized cooling and heating energy center similar to urban water supply, and electricity power supply, it is a utility that is one of the city's infrastructure, to satisfy a particular area of community’s demand of cooling and heating. It is an central air conditioning systems that provides cooling water, hot water etc., through regional network, to one or more of the mass living area. Regional centralized cooling and heating energy center adopts distributed energy, surface water source heat pump, the sewage-source heat pump, soil source heat pump, air conditioning system and other clean energy technologies for combine and solo use with adjustable peak, improve the utilization efficiency of multi-stage of energy system, and improve the management efficiency and reduce the capacity of energy system load, etc. Regional concentration and cooling computer target customers generally for senior urban context, urban centralized business district, institutions of higher learning, etc.The target customers are urban complex, City advanced centralized business district, and Institutions of higher learning. The system mainly concentrated in the northern and southern of China where the climate is very cold, and has clean energy resource conditions and regional urban central heating demand. Such as Beijing, Heibei, Tianjin and Guiyang, where the cities in Winter need burn coal for heating, has haze repeatedly happen, underground water fallen, supply of the urban citizen increasing. Use this technology could reduce the emission, increase the utilization of the energy, achieve the goal of energy conservation and emissions reduction.